﻿ What is Virtual reality (VR) and Augmented Reality (AR)? 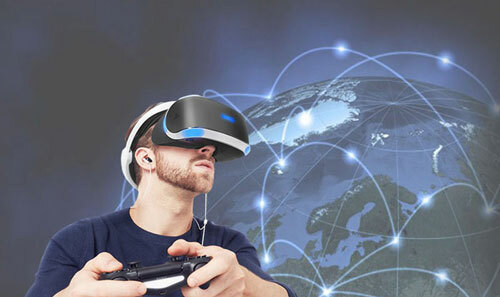 Virtual reality till some years back was a fascinating new form of technology that you probably thought would only be used for entertainment purposes. Things have come a long way since. Virtual reality and augmented reality are slowly growing to become a type of technology business firms adopt. In a few more years, board meetings can be held from different parts of the world using augmented reality or virtual reality. These won’t only be real time but will be a whole new experience altogether. It might seem like a scene out of a movie, but this is likely to become a reality soon. Interconnectivity will increase by many folds. Java j2ee Development is a key component of this process. This technology will no, longer be restricted to gamers and technology enthusiasts. Many laymen will get exposed to it and will have to learn to adapt to it. VR is a kind of technology that lets a viewer feel and interact with a kind of reality that is simulated. The reality might or might not be real. AR adds information along with VR. This means the viewer also gets information of what he is looking at and similar things. Mixed realities include missing up of the real and virtual worlds where real objects and digitized object interact with each other and exist simultaneously. Smart glasses which basically look like oversized spectacles make this entire deal possible. There are various kinds of these that are available but the best experience is provided by head mounted sets. Making teams and groups work a lot more efficiently. Communicating instructions or feedback is made easier. Increasing various avenues of collaboration. Generating creative approaches for achieving set goals of the business or company. Factory workers can benefit a lot from VR glasses. This is because a lot of the work involved is manual labour. In such a scenario, if they can receive handsfree guidance, advice and instructions, their work will be made much simpler. From maps to feedback given in real time, the workers can receive all of this while doing regular jobs like repair and controlling of machines in the factory. The work will not only be made simpler, but also more accurate. Fields that needs a lot of use of data can also benefit from VR. Aerospace and manufacturing units can benefit from VR because they will receive information as they need it and thus efficiency will increase and time needed to complete a task will be lower. The moment manual instructions are removed from a process, and more accurate real time instructions are given, the task becomes much simpler. Different kinds of training can also use VR. One of the major areas in this regard will be patients. Therapy can be given to them as they need it to help them cope with pain. The healthcare sector can use VR to create scenarios and give patients a feel of what it will be like before they undergo treatment so that they are less scared. The similar kind of training scenario can be used for workers as they will get a clearer picture of the kind of treatment. A person will learn a lot more from a visual representation of an actual surgery than when he is taught using illustrations in a book. Students can learn from virtual field trips with the help of VR and AR. This will help them gain a much more clear understanding of things without ever stepping out of the classroom. Consumers can be made to use VR for a more transparent understanding of products. The banking sector, media and entertainment sector, the healthcare sector and more can benefit immensely if engagements with the consumer is done via VR. Analyzing data in different forms can be done with VR. For people in the creative field, design ideas can be understood much better with the help of VR. VR and Ar are the next big things on the block that can potentially change every sector. It will reduce costs of working, number of people required, improve efficiency of those on the task and make the entire process a smoother one. Java web Development forms an important part of this form of technology. The path forward includes every kind of new age technology and the sooner companies look into these, the better they will perform in the longer run.